Favourite of these two scenes? pilihan peminat: anda Know It's Cinta When anda Start Talking Like An Assassin. pilihan peminat: So anda berkata anda Loved Her. 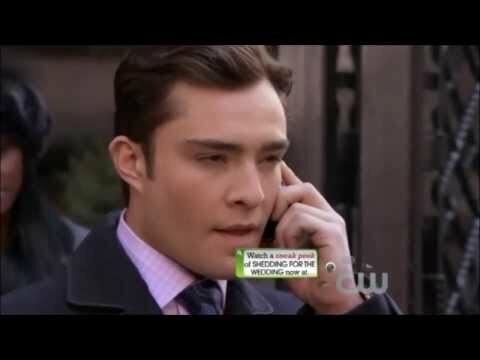 Chuck: Serena look effin hot last night. There's something wrong with that level of perfection. It needs to be violated. Nate: anda are deeply disturbed. Chuck: anda guys have been dating since kindergarten and anda haven't sealed the deal. Chuck: if I knew his name, I'd kill him. Nate: Because anda kill people now? What, anda gonna hunt him down with your scarf? Chuck: Don't mock the scarf, Nathaniel. It's my signature. She’ll play a student at Columbia and a Cinta interest for Nate, who supposedly goes to college there. Oh, and she “will make trouble” for several Upper East Siders. Chuck's new girl is described as a warm-hearted bombshell who joins him in Paris, much to the surprise of Blair, who's been spending the summer there with Serena. Is Eva Blair 2.0? We suspect Blair will tunjuk some yankee fighting spirit when she comes face to face with a Continental rival. a pop quiz question telah ditambah: Episode? Who berkata it? | "She already thinks I'm a villain. I may as well become one."